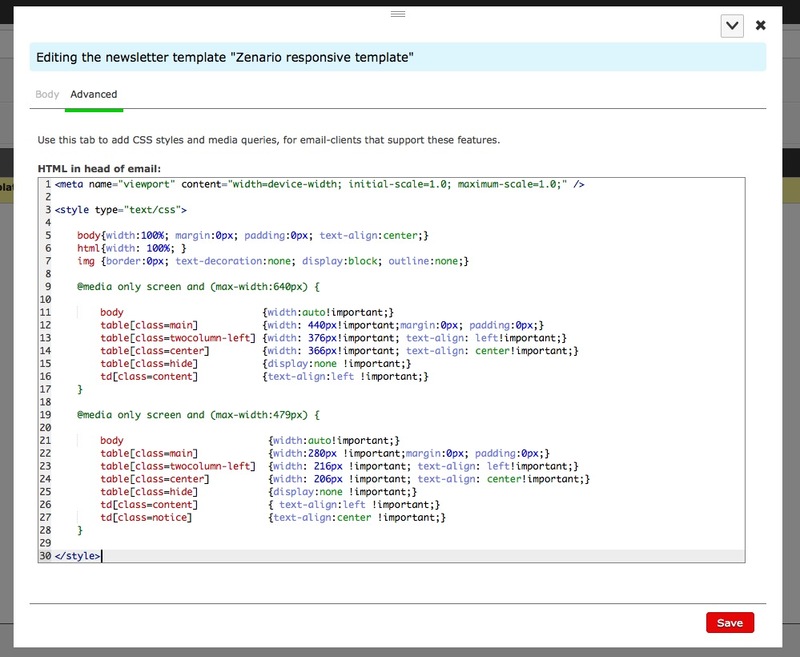 Zenario 7.2 has a new feature to add CSS styles and media queries, for email-clients that support these features. It should allow you to make emails that appear 'responsive' when viewed, i.e. they should size themselves according to the user's device, whether desktop, mobile smartphone or tablet. 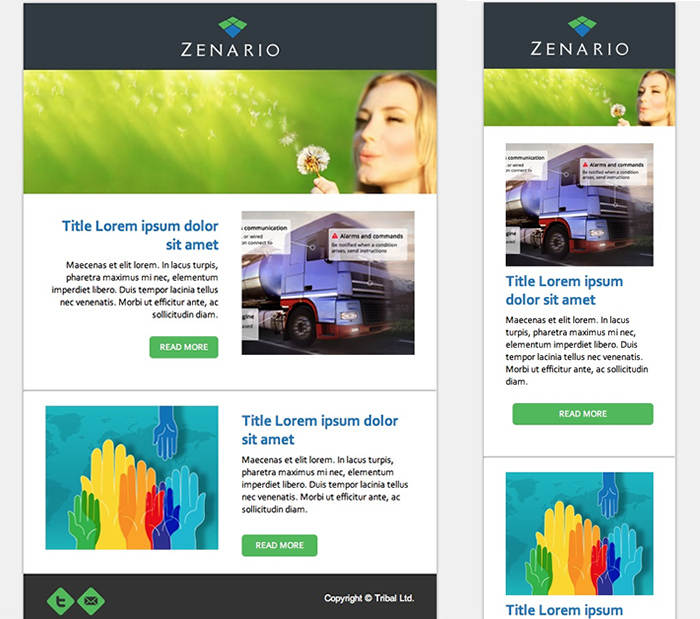 Here is a quick how-to guide to responsive email design in Zenario. 1. Go to Organizer > Email > Newsletters. Click 'Templates'. 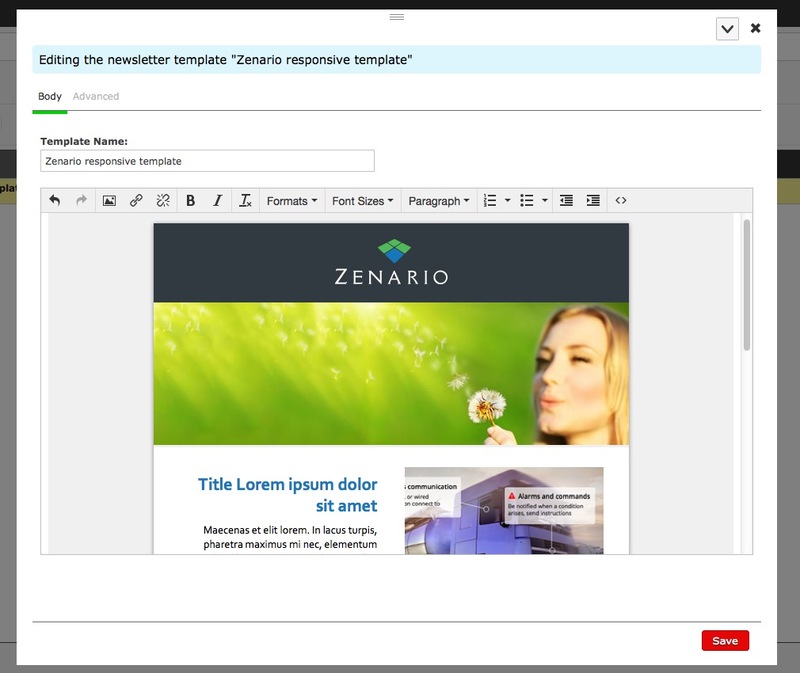 Then click 'Create a newsletter template' button. 2. Give a name to the new template and enter the content and design. As you probably know by now it is very common to format emails with tables. We are going to add some classes to the tables so we can change their styles on the different windows sizes. 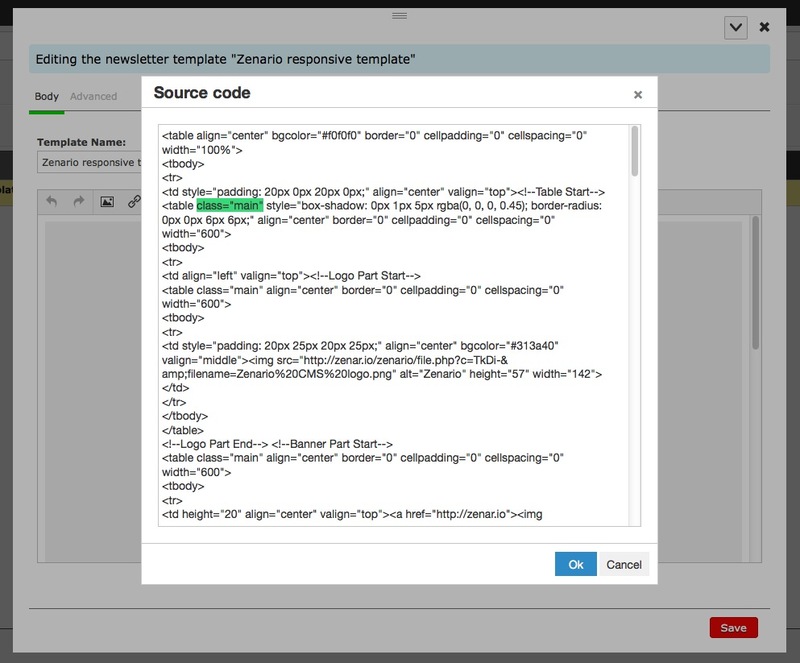 You can do this by clicking 'Source code' on the editor and adding the classes on the HTML. Click 'Ok' button to save your changes. This will make the email client recognize it as a mobile-optimized layout. Wouldn't it be nice be able to define a nice set of styles for your site's newsletters, that you can customise and then access at a click? Just look inside your zenario_custom folder and you should find a file called site_description.yaml. This is present from version 7.1 onwards. This file defines things about your site's custom environment. If you don't have a description.yaml file, and you have file system access, you can copy a sample one from zenario/api/sample_site_descriptions/probusiness/site_description.yaml. You can use it to restrict the number of administrators that may be created, whether to enable the additional security features, and so on. Remember to use multiples of four spaces at the start of every line in a .yaml file, so make clear to the reader the data hierarchy.